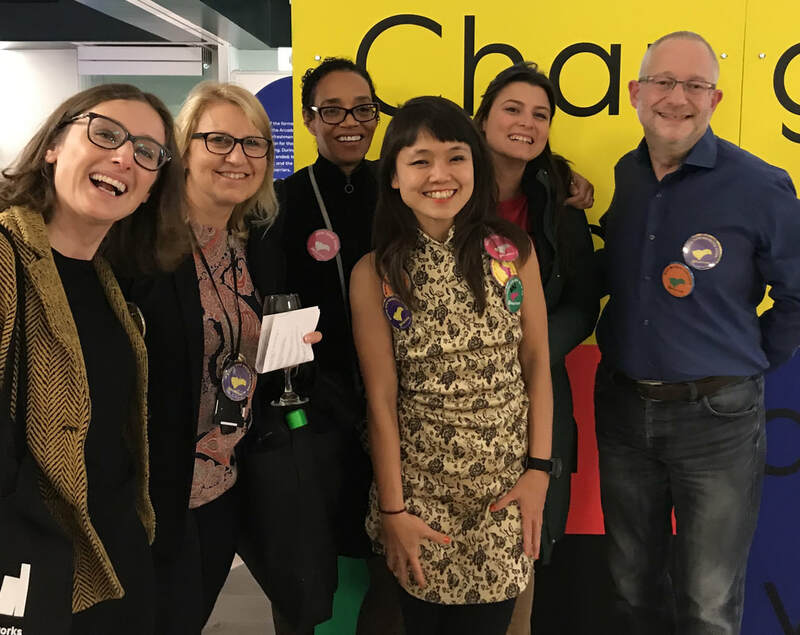 The #MagicCarpet team and friends at the King's Artists Launch scheme 5 October 2017, Bush House. Left-right: Alessandra Cianetti, Lena Johansson, Jane Sedgewick, Dr Kai Syng Tan, Natali Bozhilova, Professor Philip Asherson. 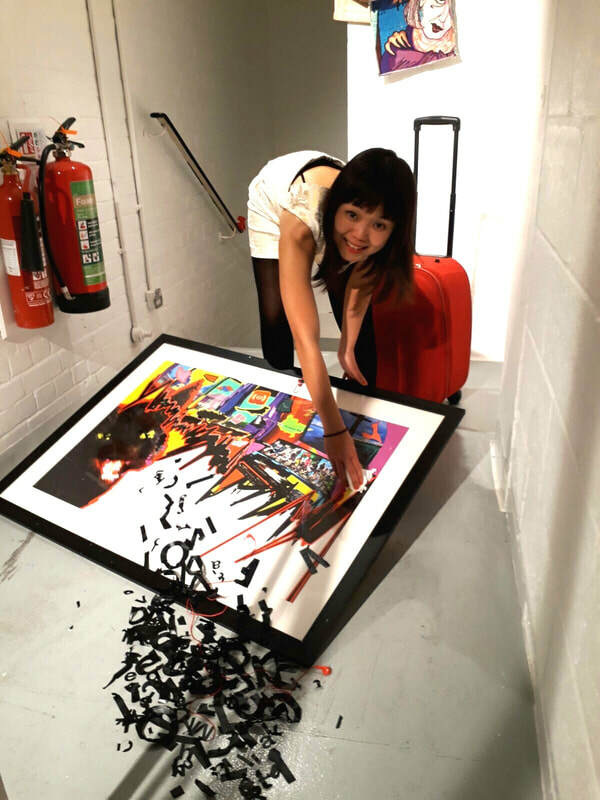 Dr Kai Syng Tan FRSA SFHEA is an interdisciplinary artist, visual director, researcher, consultant, curator, lecturer, sightseer and shape-shifter. Through installation, performance, drawing and critical text, and drawing on fine art, urban and mobility studies, neuroscience, sport science and non-western discourses on the body-mind poetics, her practice-led research investigates how the body and mind in motion relates to place and other bodies and minds. Within this framework, she explores running as a creative toolkit, which was also the focus of her fine art PhD conducted at the Slade School of Fine Art as a UCL scholar. Kai's work has appeared at Documenta, Royal Geographical Society, Biennale of Sydney, MOMA, ZKM, ICA, BBC Free Thinking and LADA Study Guide. Recognition includes San Francisco International Film Festival Golden Gate Award, and Artangle Open 100, and collections include the Museum of London, Fukuoka Art Museum and Land Transport Authority (Singapore). She has been described as ‘not only a talented artist but also a great scholar’ (Cinema South Festival) who is ‘known for her eclectic style and cheeky attitude to the art world’ (Sydney Morning Herald), with a ‘sardonic humour but also a sharp intelligence which makes her a self-reflexive, incisive artist of South East Asia’ (Singapore International Festival of Arts Director Keng Sen Ong). Of her RUN! RUN! RUN! Biennale, the Guardian urges academics to ‘take a leaf out of its book’. Co-produced with disabled colleagues, the Opening and Closing Ceremonies of the 8th ASEAN Para Games (for which Kai was Visual Director) was applauded as ‘spectacular’ by Prime Minister Lee Hsien Loong. Kai is currently an Artist in Residence and Visiting Researcher at King’s College London, Visiting Fellow at University College London, Director of RUN! RUN! RUN! International Body for Research and AHRC Peer Review College member. Professor Philip Asherson, MB,BS, MRCPsych, PhD is Professor of Molecular Psychiatry at the MRC Social, Genetic and Developmental Psychiatry (SGDP) centre at the Institute of Psychiatry, Psychology and Neuroscience (IoPPN), King’s College London in the United Kingdom. Since 1996 when he moved to the IoPPN he has worked closely with Professor Jonna Kuntsi to develop a program of research on clinical, quantitative and molecular genetics of ADHD. In his own work, he has a particular focus on adults with ADHD. Current research projects include investigations of the neural basis of mind wandering in ADHD, clinical trials of prisoners with ADHD, and the impact of ADHD on learning in University students. He is the author and co-author of more than 300 articles and book chapters on ADHD and other neurodevelopmental disorders and traits. Photographed at SGDP's MRC Preview Festival 2017, by SGDP. 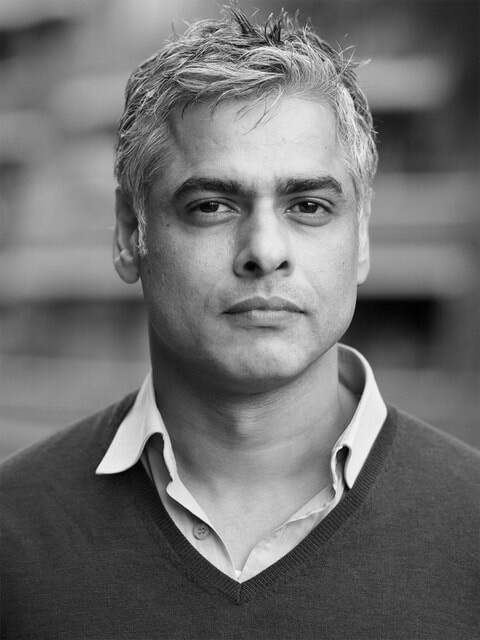 Enamul is a a photographer / filmmaker / artist / producer based in London with over 20 years experience as a creator & producer of photography and film projects. He has worked on various campaigns / commissions for brands such as General Motors, Kodak, Nike, Virgin, Sony, Unilever and YKK among others. His photography / films / art projects have been exhibited and screened in museums and galleries such as American institute of Architecture, Barbican, Guggenheim, Institute of Contemporary Arts (ICA) , Royal Festival Hall, Museum of Contemporary Design and Applied Arts (MUDAC) as well as other creative institutes around the world. Enamul is a partner at UNDERBELLY where they conceive, design and direct moving images, motion graphics, short films, idents, title sequences, virals, promos, large scale site spicific installations and other communication solutions for brands and agencies. He is also a founder / volunteer board director of OITIJ-JO Collective – a ‘not-for-profit’ organisation set up to provide an accessible ‘platform’ for creativity rooted in Bengal. Since 2012, Oitij-Jo has delivered successful projects and events on the Southbank, Royal Festival Hall, RichMix as well as other venues across London. Philip Tan is an award-winning, critically-acclaimed Creative Director with more than 25-years of international portfolio. He is also a Composer, Surround Sound Designer, Visual and Performing Arts Consultant, Multi-instrumentalist and a well-respected Educator and Community Leader. Recent high-profile multidisciplinary events he led include the Opening of the Gardens by the Bay 2012, 20th World Orchid Conference 2011, SEA Games Closing Ceremony 2013 (Myanmar), Garden Rhapsody Light and Sound show 2012-2013, Opening of the Sports Hub 2015, ASEAN Para Games Opening and Closing Ceremonies 2015 etc. Philip’s zest for exploration of new formats, technologies, ideas, multi-media story-telling and solo performance have been showcased in more than 30 countries worldwide since 1997. Sweden-based Michael Tebinka is a Director of Photography & Freelance Colorist. With storytelling at the core of his work he contributes with equal parts of passion and vision; purposefully celebrating co-creation, collectively transforming ideas into true experiences. 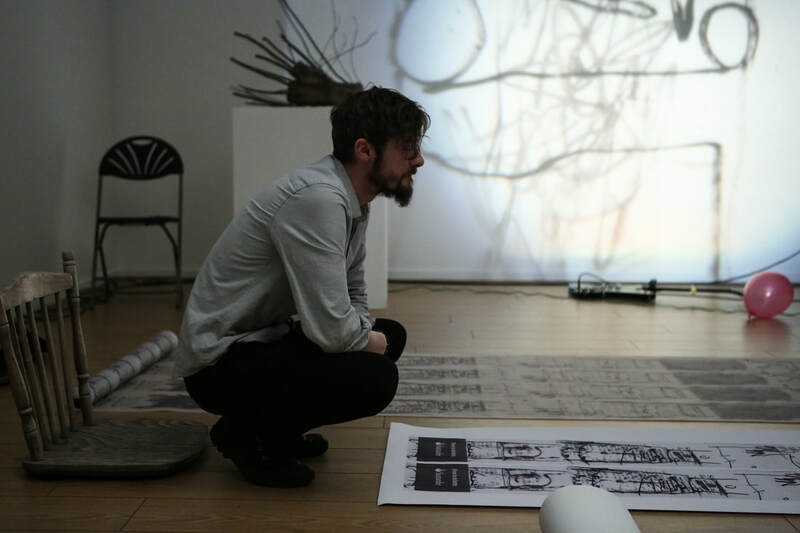 Fuelled and inspired by human interconnectivity, sensory perception and movement through time & space he shoots commercials, documentaries, short films including of commissioned artworks for performance and installations. Michael’s works are characterised by a distinct aesthetic sensitivity, technical proficiency and a unique poetic vernacular. Michael is a member of the Association for Independent Filmmakers (OFF) in Sweden, Member of Digital Cinema Society, Associate Member of Colorist Society International (CSI), Member of the Medeaelectronique Artist Collective in Greece and Associate Visual Director at Philbeat, Singapore. Erkembode is an artist named-after-a-medieval-Irish-monk living in Leeds. He administers Bear Press, makes films with A616 and performs with PilGRiMiMiH collective. The current focus of his practice is testing the potential of receipt as material language. Over Summer 2017, performed a series of compositions, Bé MặN MiMiH, in a 17th century barn. Erkembode provided the conceptualisation, design and artwork of the social media and publicity of the early stages of the project and the current shape and contents of these aspects of the work are to his credit.